Hapless drug dealer Dominic Marshall landed himself with a 12 months’ community service sentence and three months supervision. After posting that he is selling drugs on Facebook. What is interesting is the judge, justice Hilary Manley recognised that Marshall suffered with depression, due to his drug taking. The judge pointed out in court, and to Marshall that there was a probable link between drug taking and his depression. A recent paper by the medical journal The Lancet states that there is a 24% increase in first episode psychosis due to smoking skunk marijuana, the type that Marshall was selling. Marshall advertised on Facebook he was selling a drug called Lemon Haze, a hydroponically grown, genetically enhanced marijuana that is sometimes up to 8 times higher in THC than normal block marijuana. The idea that this drug is harmless, is clearly not the case. Marshall was only 20 years old, and although reporting on the article is unclear, there’s a good chance that someone like Marshall would have started using skunk in their early teens, it is at this time that the brain has a growth spurt, preparing for adulthood, as well as a normal hormonal alterations and bodily changes. In our early teens, synaptic connections in the brain are made and pruned back. Adding a chemical such as THC in the quantities skunk marijuana offers at this time in life, can have serious effects and psychological well-being. Although there is no evidence to support that Marshall has a mental health problem, there is a good chance he may have. After all, what rational person would advertise on social media that he is selling an illegal drug. An interesting caveat was added to an article in the Daily Mail a few days ago regarding the loneliness of young adults. The article stated that loneliness is on the increase due to people using social media. The article stated that one in seven finds it difficult to make any lasting relationship either socially or romantically. Stating that young people are generally too scared to talk to strangers. An interesting aside of this is in the book by Dr Joseph Shrand Outsmarting Anger he makes an interesting comment, saying that lack of eye contact can be an indication that someone is suspicious. If we think about the amount of time people are looking at screens today obsessed with updating their Facebook status, or tweeting or generally keeping in touch with the world via email, people generally never look up from their screens and thus don’t make eye contact. Dr Shrand makes an interesting comment, in his book saying that averting our gaze can disrupt what is called the social brain network; effectively the connections in the brain are not made because we haven’t made eye contact with others. Dr Rebecca Hart of the University of Bolton is stated in the article saying that our brains treat loneliness the same way as physical pain. Due to the advent of social networking one of the downsides is that we are spending less time on social interaction, making fewer real friends rather than cyber friends. What is an interesting comment made by one young man is that he considers his friends online as friends but has never seen their faces. It is known that 80% of all communication is non-verbal, even though we have screens where we can see people’s faces we can’t really see their movements. Technology is a wonderful thing, but if this report is true, living in a cyber-world can leave us lonely and isolated, without any real friends. Furthermore, according to Dr Hart it can also be physically painful. Loneliness affects everybody, and are often seen as something that happens in later life, but if this report is true, it is happening earlier and earlier and social isolation is becoming more a fact of life. An eating disorder can follow you in later life? An interesting article appeared in the Daily Express a few days ago. In an interview with the actress Hetty Baynes. During which, she talked about her struggle with bulimia. Miss Baynes, described how she experienced a dysfunctional childhood. Which was exasperated by her early career as a dancer and that profession’s obsession, at the time emphasis with weight and body image. From an early age Ms Baynes described how she would diet and starve herself, as a mode of controlling her weight. This was subsequently performed by the use of laxatives, as she would consume up to 12 tablets a day. Miss Baynes is in good company, many celebrities such as Elton John, Joan Rivers and Jane Fonda and most famously of all Diana, Princess of Wales, are known to of battled illnesses like bulimia. What is most interesting about Miss Baynes story is that she still battles with bulimia now at the age of 58. The public’s perception is that eating disorders are generally something that happens to young girls, and hardly ever talked about as an illness, if not treated properly, can follow a person through to adulthood. The fact that body image and the way we look is often used as a mark of success, often it is driven by the celebrity culture, which is recently grown-up, in today’s society. There’s no real explanation as to why a person is prone to this obsession with body image, but is likely to be a combination of factors. As mentioned above the drive for perfection and today’s society’s preoccupation with the way our appearance plays a major part in who we are, often gives people the wrong message, particularly young girls; there is a growing increasing the amount of young boys with eating disorders; according to a BBC poll taken in 2014, a quarter of all people suffering with an eating disorder in the UK are male. What actually defines beauty has changed historically from period to period, one only has to think of the ancient Greeks, recent research suggests that an eating disorder can be an emotional coping strategy. With the thought that, a person in the early years may feel uncomfortable with the feelings they have, particularly around the time of puberty. Of course, once a coping strategy is learnt a person may return to it, when they are overwhelmed with emotions, until they are given another coping strategy or a way of coping with their unhelpful emotions. Like so many people with an eating disorder Miss Baynes speaks about how she returned to bulimia,at times of stress, particularly when she was going through the divorce process with her ex-husband, film director Ken Russell. One estimate puts the cost to the NHS of treating eating disorders at £70m. One worrying trend is the rise of pro eating disorder websites, with Google recently taking down a website that was promoting anorexia. Unfortunately, through social media promotion of such sites can be commonplace. Psychotherapy and counselling can help someone with an eating disorder, with not only CBT but also interpersonal therapy, such as person centered humanistic therapy, finding good results. Although CBT (cognitive behavioural therapy) is NICE (the National Institute of clinical excellence) preferred method of psychotherapy and counselling. There is a groundswell in the treatment of eating disorders and NICE now recommend interpersonal therapy as one of the treatment protocols. Does substance misuse cause mental health problems? Alcohol and drug addiction have historically always been linked to mental health problems. Mental health problems do not necessarily cause addiction. Nevertheless, some mental health problems, exclusively those which have not been diagnosed quickly, can cause alcohol and drug problems, for the person with a mental health difficulties. Having a depressive disorder can cause a feeling of being overwhelmed by life, social isolation, sleeplessness, a feeling of psychological unconnectedness, and thus the person feeling this symptoms’, will often self medicate with either alcohol or drugs, in order to feel some relief from these feelings. Recently a paper published in the Lancet has linked skunk cannabis misuse with a 24% increase first incident psychosis. The research was specifically aimed at people with no diagnosis of mental health problems before using the drug. Effectively, this shows a link between using a drug and a mental health problem. For some, this would not be a revelation, as often people have anecdotal evidence, knowing someone close or in the close circle of friends, who suffered a mental health problem and has used or in the past used drugs or alcohol. One research paper by the University of Lancaster has linked the use of skunk marijuana and people who are self-medicating for symptoms of bipolar disorder. An interesting comment was made in this research saying cannabis use increase when somebody was in a positive or manic mood. 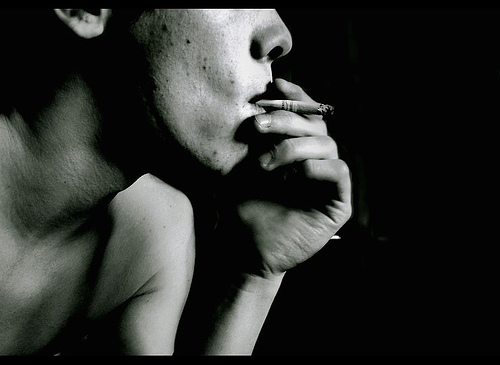 In fact, smoking marijuana can make depression worse. Temporary relief may be found in a line of coke or a drink, but when the chemicals, except the body depression can worsen to a new low. These so-called “withdraw depressions” happens after somebody has come down from using drugs or alcohol. Unfortunately, many people do not experience chronic symptoms at first. Furthermore, the depression felt from using recreational drugs and alcohol can lead people to reuse, can lead into a problematic cycle. These symptoms can be made worse when somebody who is on prescribed medication uses drugs or alcohol. Mixing Street drugs and alcohol with prescribed drugs can be deadly, putting the person in danger. A question often asked for people with an alcohol or drug problem is “did my drinking or drug taking cause me to have depression?” It Is often the job of a psychotherapist/counsellor to help the client find the source of the depression. Furthermore, gain insight into the possible causes of their problems. Whether that’s passed problems unresolved, or fear of failure in the future. It is often the case client who comes to therapy for an addictive problem are able to track back to when he or she first felt depressed, and gain insight into why they turned to their drug of choice, whether that be alcohol or street drugs. At Eleos counselling we have had many years helping clients with depression, and a drug or alcohol problem. We work in a Humanistic way to help the client come to terms with life’s hurts and the wave come to cope, if you would like to know more, please click on the link below and you will be taken to the Eleos counselling website. Is it time to rethink addiction treatment protocols in this country? A recent article in the Daily Mail, newspaper, has raised the profile of treatment for alcohol-related addiction. The article highlighted the case of one woman, in Liverpool who has had several bouts of rehab, and now has stopped drinking due to her deteriorating health. The story is so so familiar and typifies, how one can easily slide into an addictive behaviour, as a way of coping with life’s pressures. The person in question went from having a few drinks night, to help her fall asleep to a full bottle of vodka and finally to drinking from the moment she got up, in the morning. It is estimated that treatment for alcohol-related problems cost the UK taxpayer 3 ½ billion pounds last year. Experts have stated that there is an epidemic of binge drinkers in the UK, which is putting the NHS and recovery agencies under enormous stress. One hospital in Liverpool is quoted as saying that they see 20 to 30 people in various stages of alcohol-related health problems, such as oral cancer and liver disease. One interesting fact to come out of this article is there is little known about the socio-economic effects of so-called binge drinking. It is estimated that binge drinking is costing the UK taxpayer £550,00 an hour. There are no quick fix solutions in answer to this epidemic, but education at an early age could be one thing we do as parents and adults. Showing young adults and younger, the effects of binge drinking could pay dividends in the long run. Of course over stressed drug and alcohol agencies have little or no time for such educational, Yet proactive work. Nevertheless, Could it be possibly be a time to rethink our treatment protocols in this country. Incorporating so-called withdraw drugs as well as psychotherapy /counselling, could be one of the ways of helping people on the road to recovery. My own total evidence would suggest that people often want to talk about, and come to terms with some of the damage that they have done whilst they’ve been in the depths of their addiction, unfortunately counselling/psychotherapy is really offered, to help people deal with these fallout effects. Counselling and psychotherapy can play a large part in the recovery process, unfortunately locally this has to be paid for by the person with the addiction. My question is, could it be that some of that money (£550,000 an hour) would be better spent helping people in a different way rather than offering at NHS bed in a drying out Ward. Sending trained professionals into schools to help young adults understand exactly what a unit of alcohol is, and looks like, the effects binge drinking, and the effects of drink -related diseases. Eleos counsellor has been working on a new program,to help children manage their anger. This will be rolled out for the new academic year. We hope in the future to be involved with more educational work, such as helping young people have a healthy attitude to alcohol.